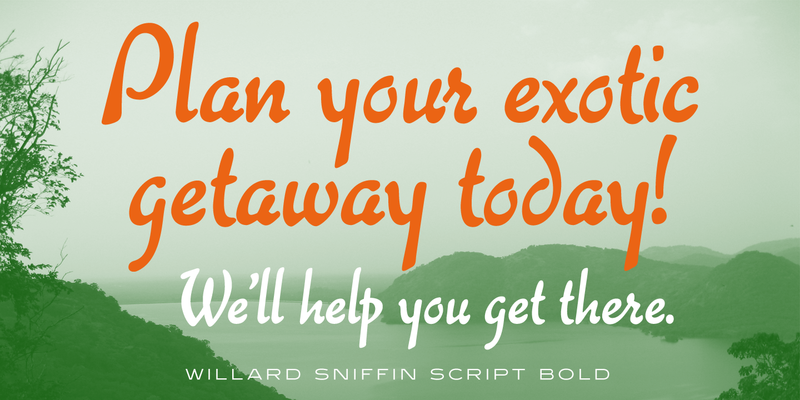 Willard Sniffin Script is an informal brush script font family. It was created and produced by Steve Jackaman (ITF) in 2005. 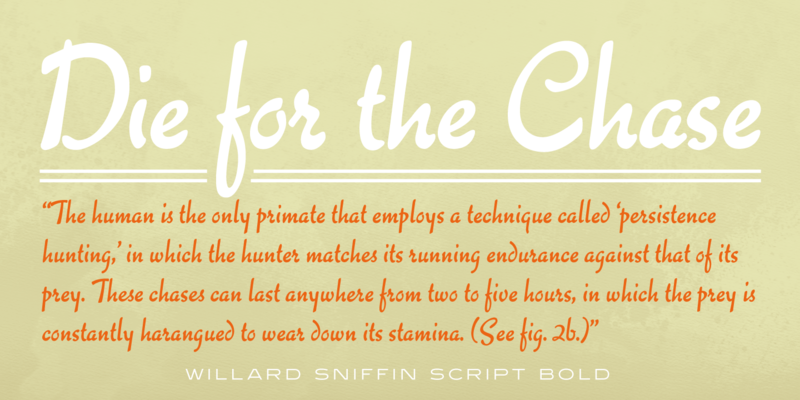 The design is based on Willard T. Sniffin’s typeface ‘Keynote,’ which was created in 1933 for ATF. The name ‘Keynote’ was already taken at time of publication, so Jackaman paid homage to the original designer. 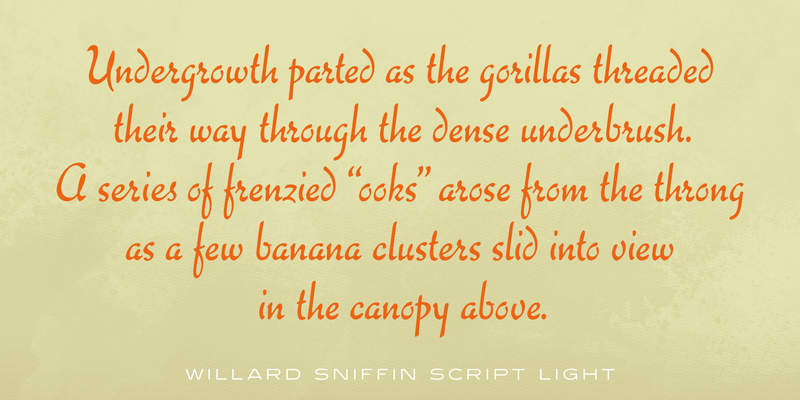 Willard Sniffin Script possesses high legibility and an attractive cleanliness for a script family. 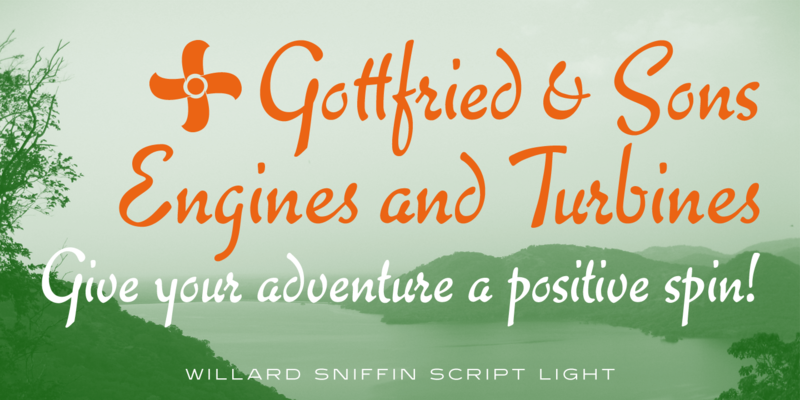 The family’s calligraphic nature gives it an approachable yet formal feel, and fits nicely into a wide range of projects. 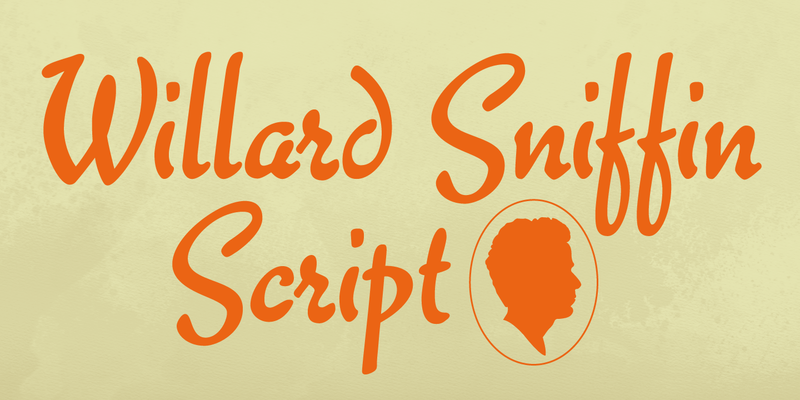 Willard Sniffin Script is a trademark of International TypeFounders, Inc.